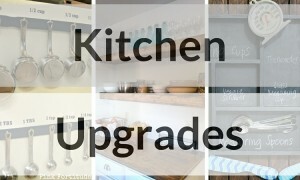 Here are some awesome ideas to get you get organized and find a “home” for all of your things. When your home has a place for everything it is magical. You open up cabinets to neat piles of Tupperware. Your closet is organized with shoes, belts and accessories organized in a way that would give Carried Bradshaw envy. 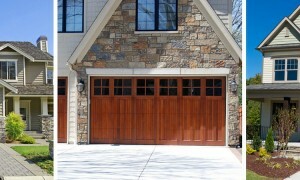 Your garage is neat and each tool is hung with care while your children’s toys are lined up and ready to be used at their convenience. Let’s be serious, there are very few who can actually say their home has enough space for all of their things. In the battle of you vs square footage, you rarely feel like you come out on top. 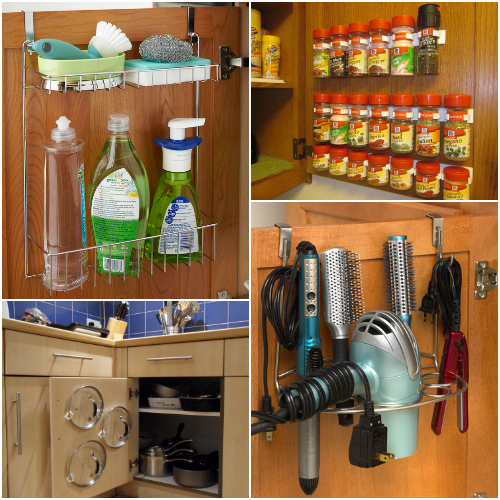 Here are some awesome ideas to get you get organized and find a “home” for all of your things. 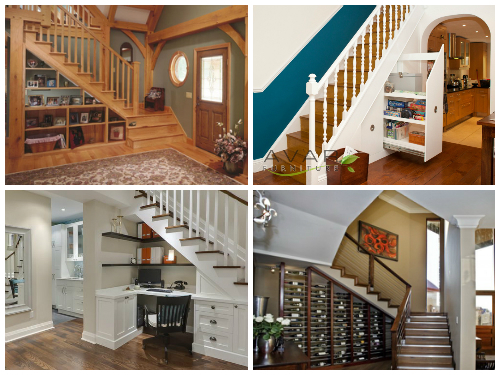 Don’t let that space underneath your stairs go to waste. Depending on the size available you may even be able to create a small office like the image in the bottom left. The inside of cabinet doors are hidden which makes them a perfect place for storage. We especially love the idea for the spices below. 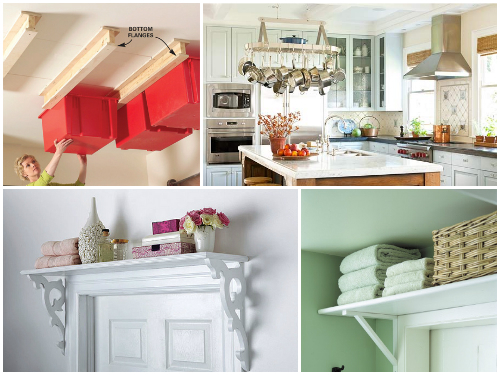 Look up and you will be amazed at all of the places you can find to store things. From the garage ceiling to the space above doors, it is important to use every inch without making a room feel cluttered. If you have a smaller kitchen you know what it is like to open up a cabinet and have things fall onto you…it’s miserable. Clear up some space by taking advantage of the area underneath your counters. Do you have a genius storage idea? Tell us about it or leave a link in the comment section. Want even more ideas? 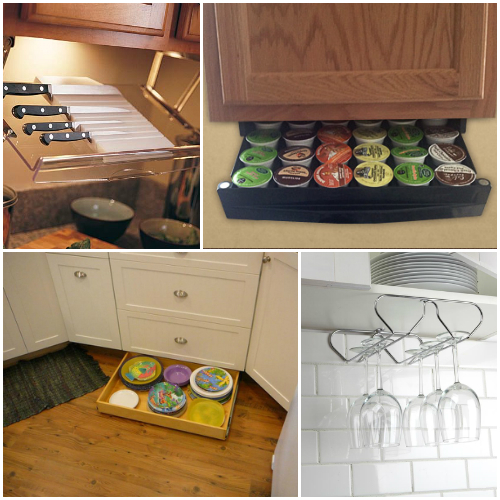 Check out these DIY storage ideas. Smart Storage that won't break the bank!